As widely expected, thanks to some highly accurate leaks, Apple has released an all-new Watch with a larger OLED display. The new display is substantially larger and offers 30 percent greater viewing area, while the device is less iPod nano-like and noticeably thinner and incorporates more pronounced curves at its four corners. 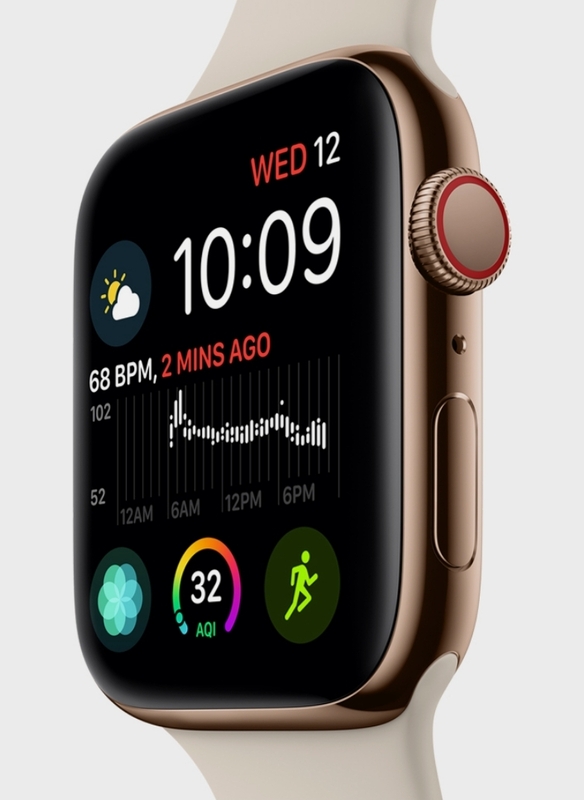 The new display can also show up to 8 "complications" providing users with far more information at a glance than the Watch Series 3 and earlier models. 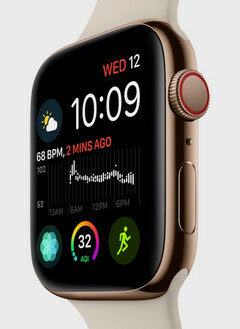 The Watch Series 4 also picks up brand new custom Apple ARM-based silicon in the form of the new Apple S4 chip. Apple holds a considerable lead in the smartwatch chip space and the new S4 is twice as fast as previously while also more battery efficient. By comparison, the new Snapdragon 3100 found in the Mont Blanc Summit 2 continues with the same cores as Qualcomm's Snapdragon 2100, but only offers gains in efficiency. The new S4 chip powers an all-new optical heart-rate sensor as well as FDA-approved ECG capabilities built into the new digital crown. Touch the Digital Crown for 30 seconds and it will produce a real-time ecocardiograph report. Previous Apple Watches have been noted for reportedly saving the lives of owners by warning of heart abnormalities. 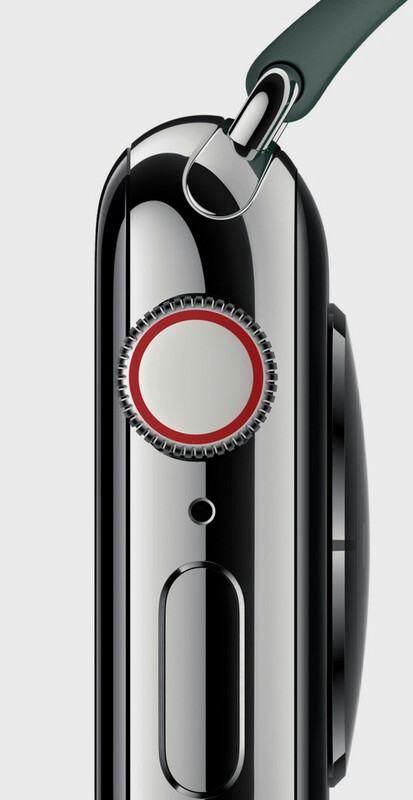 The Series 4 builds on this with more accurate heart rate monitoring, fall detection and a built-in SOS feature. If the Watch detects a fall and the wearer doesn't get back upright in 60 seconds, and SOS call automatically alerts first-responders. There are also new health features for women as well as diabetes suffers via related third-party hardware providers. Additionally there are also a raft of new activity-related features including auto-detection of yoga training. The new Apple Watch comes in 40mm and 44mm sizes, starts from US$399 for GPS models and US$499 for GPS+Cellular variants. Pre-orders start September 14 while the global rollout commences September 21.